Have you decided on your summer vacation spot this year? If so, you’ve probably been busy booking accommodations and planning how you’ll spend your time. But have you given any thought to the safety of your home while you’re away? After all, burglars love to target homes that appear empty because it makes things much easier. With that said, here are five tips to consider from FlipKey before you leave town. Put your mail on hold – It might be the oldest trick in the book, but it’s still very effective. Keep in mind that piles of visible mail and newspapers on the driveway tell would-be burglars that your home is completely empty. It’s definitely worth the few minutes it takes to call the post office and ask them to hold your mail. If you receive a newspaper, it’s also smart to call the service to stop delivery until you return. Time lights – See if you can time your lights, television, and other electronics to turn on and off throughout the day. Though many homeowners tend to leave a porch light on the entire time they’re gone, it’s not exactly the best strategy. For one, it increases your electric bill. Secondly, more intelligent burglars would find this activity suspicious. Hire a landscaper – This would be a good time to hire a landscaper. Even if it’s just for mowing the lawn once, it makes it look as though someone is doing yard work at your house. Have a neighbor park out front – If you have a trustworthy neighbor, it’s worth asking if they can park a car out in front of your house to make it look as though someone’s home. Avoid social media – We love to show off vacation photos, but you may want to hold off posting them to social media accounts until you return home. You never know when your information could get into the wrong hands. While you hopefully trust your friends, you don’t know if one of their friends sees that your home is vulnerable. Consider a home security system – Our best piece of advice is to invest in home security systems. At Safeway Lock and Key, we can easily install home alarm systems that go above and beyond in protecting your home while you are away. Offering 24/7 surveillance capabilities, our home security experts make safety your top priority. Plus, we only use the innovative home security cameras and alarm systems. We can place just one camera focusing on your front door or place several throughout your home to ensure maximum security. The home security systems from Safeway Lock and Key not only protect your home and family but also provide you with peace of mind. 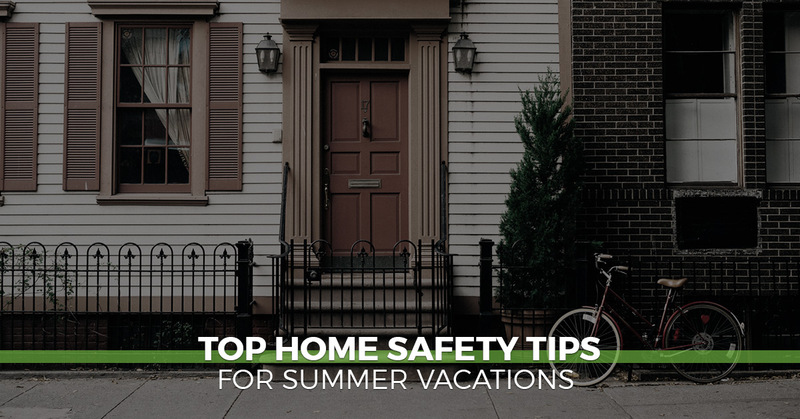 Don’t spend your vacation worrying about whether your home is safe. Instead, let our team of professionals secure it with easy and affordable options. Safeway Lock and Key does so much more than locksmith services.